Hi, This is a tutorial to root Xiaomi Redmi 4X and install TWRP recovery. In this guide you will find all steps with image, therefore it is safe and easy method of root Xiaomi Redmi 4X and install TWRP recovery. Xiaomi Redmi 4X has Qualcomm MSM8940 Snapdragon 435 processor along with 2GB/3GB/4GB RAM and 16GB/32GB/64GB ROM. This phone has 5.0 inches IPS LCD capacitive touchscreen with 720 x 1280 pixels. Xiaomi Redmi 4X is great phone and you must be root Redmi 4X, because root allows for you to use a maximum of your phone without any restrictions. 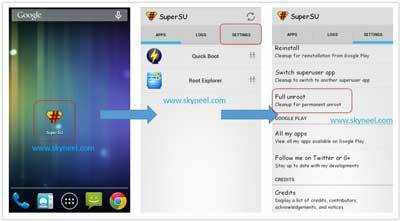 After root you will install custom Rom, apps, and setting in your phone. But before root you must read Root Advantage and Disadvantage by this post. Then after follow these steps to root your phone. Step 1: Download and install Xiaomi Redmi 4X ADB driver on your PC and enable Developer option and USB debugging mode on your Xiaomi Redmi 4X by this guide . 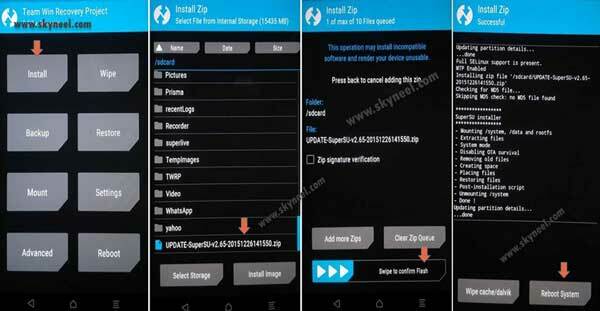 Download and copy SuperSU Zip file in the phone SD card. Now download and extract TWRP Recovery and Fast-boot tool and move TWRP Recovery (recovery.img) file in the Fast-boot tool folder. Then press and hold shift key in the keyboard and right click in the extracted Fast boot tool folder and select “Open command window here”. See in this image. Step 2: Now connect Xiaomi Redmi 4X with PC via USB cable and type adb reboot bootloader to boot your phone in the bootloader or fastboot mode. if this CMD command is not work for reboot bootloader or fastboot mode, then switch off your Xiaomi Redmi 4X and press volume down and power button. You will get a vibration and your device will boot in recovery mode, then you select Reboot to Bootloader. Note: Now your Xiaomi Redmi 4X in the bootloader or fastboot mode, So you type fastboot devices in the command window then press enter key. This command show connected device in the command window and you can see your Smartphone serial number. If command window is not show your device serial number. Then install USB driver correctly or change your USB port of the PC. 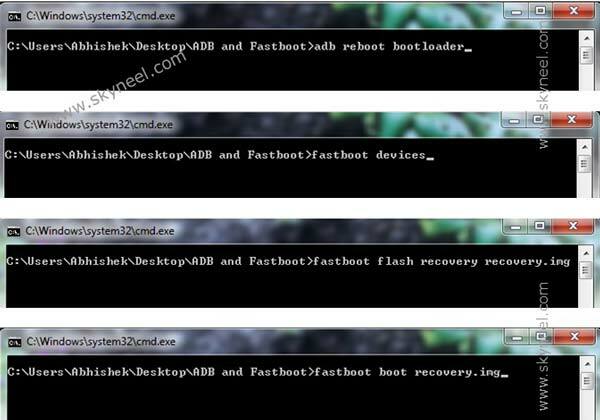 Step 3: If your Xiaomi Redmi 4X connected, then type fastboot flash recovery recovery.img command in the command window and press enter key to flash TWRP recovery on Xiaomi Redmi 4X. It is must for you to know, how to unroot Xiaomi Redmi 4X Smartphone. When you feel that you don’t want rooted phone, then you can easily unroot your phone by un-install root app. Here is simple steps to unroot your device. You can also see unroot process in this image. I hope you like this root Xiaomi Redmi 4X and install TWRP recovery guide from which you will be able to easily root Xiaomi Redmi 4X and install TWRP recovery without any extra efforts. If feel any problem in this guide then please use comment box. Thanks to all. Will my phone receive ota update after rooting? No, OTA Update only receive Locked BootLoader. You can update Manually.